Apple、macOS Mojave 10.14.4 betaで「Radeon VII」のドライバをテスト中。 | AAPL Ch. ydeng:People say AMDRadeonX6000HWServices.kext has been removed in 10.14.4 beta. 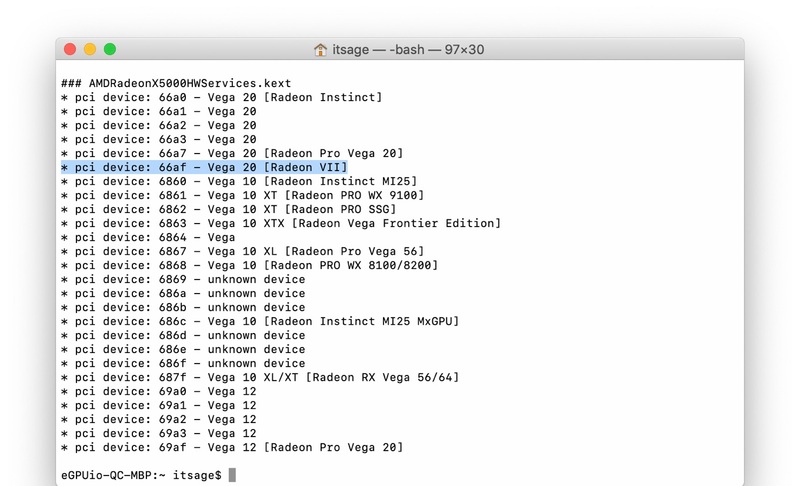 Vega VII device IDs are all in AMD10000Controller.kext . Are you getting one of those? Gigamaxx:Yes I’m planning to get one of those. Interesting I’ll update to the beta and check it out tonight.